Want to go Back in Time to 1985 and 1955? This can be your change. 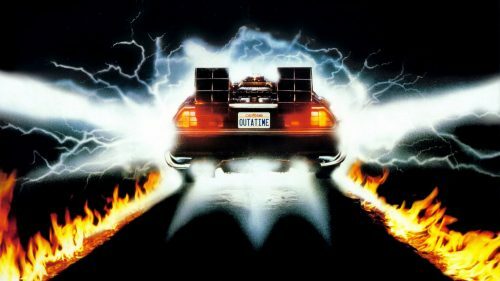 Secret Cinema’s next event is the 80s classic, Back To The Future. Creating large-scale cultural experiences in abandoned spaces, Secret Cinema fuses film, music, theatre and installations. Audiences explore ultra-immersive worlds where fiction and reality blur. Residents of Hill Valley will not only have the chance to watch a “Battle of the Bands” contest to decide who will play on stage every night. Watch a secret, hight profile band, headlining the show. Visit the famous ‘Enchantment under the Sea’ Prom as well as getting lost in 1985 and 1955 California. Then the residents will have the change to watch the classic “alongside extra experiential surprise elements”. Whatever that may mean! For ‘Secret Cinema presents Back to the Future’, we will build an entire town, where audiences will live inside the world of Back to the Future. We will play heavily on the innocent dreamlike Americana world of 1955 and the nostalgic pre mobile phone world of 1985. With this production we are moving Future Cinema into Secret Cinema Presents which will continue to stage cult classics and new releases such as the recent critically acclaimed Grand Budapest Hotel and last year’s Searching for Sugarman. Tickets are on sale now via the Secret Cinema website and will run from July 24 to August 10, 2014. It is an event that cannot be missed. Just keep an eye out for the DeLorean.